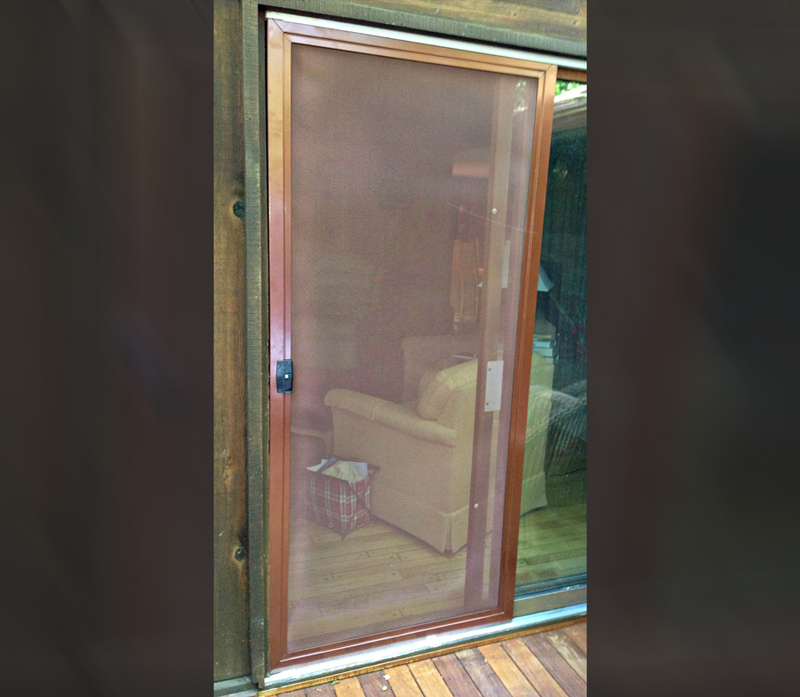 Now there's a patio sliding screen door with the same maintenance-free durable protection as the Tough Tek Metal® child protection safety screen. The corrosion-resistant screen is covered by a ten-year manufacturer's warranty and ends the cycle of common repairs for patio screen doors from pets, kids, walk-throughs, sharp objects, wear & tear, and bugs & insects. Doors made of 2" wide, .040" thick, 6063-T6 extruded aluminum frame. Screens are 023, or greater, stainless steel wire mesh. Tig-welded joints on screen insert. Heavy-duty mortise lock with steel latch. Standard steel ball bearing wheels. - Without expanders - adjustable wheels, top and bottom, adjust up to 5/8" total. - With one expander on top - adjustable wheels on bottom adjust up to 1 1/4" total.